An IVA is a legal agreement between you and your creditors where you pay back a portion of the debts that you owe. 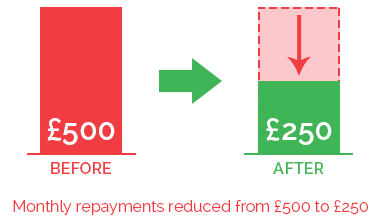 Reduced payments are negotiated with your creditors at a sum that is affordable to you. These payments go towards the total percentage of debt that you owe to your creditors. An IVA generally lasts for 60 months (5 years). In some circumstances however, an IVA can be completed in a few months, but this would normally involve introducing a Lump Sum into the IVA, hence the name Lump Sum IVA. Some IVA arrangements can last more than 5 years to introduce payments in lieu of a remortgage (if applicable to your case). In exceptional circumstances a small number of arrangements can last more than 6 years. The length of time your IVA will last will be determined in the IVA proposal, once all of your circumstances have been taken into account. How does an IVA get approved? In order to set up an IVA, there are certain criteria that must be met. You generally need debts from over £15,000 and more than two creditors. It doesn't matter whether you are a tenant or a homeowner. Due to the nature of an IVA being a formal agreement, it is not something you can set up on your own. You will need a Licensed Insolvency Practitioner or a company that employs Insolvency Practitioners. At BusinessDebtAdvice.co.uk our experienced Debt Advisors are happy to go through your situation on the phone to see if an IVA is the best debt option for you and your business. We will do a detailed analysis of your situation, your income, your outgoings, your bills and debts and anything else that you might like to discuss. Then, if we determine that an IVA is your best course of action and you decide that you want to proceed, then we will take the necessary steps, along with our highly qualified Insolvency Practitioners, to put your IVA Proposal in place and forward it to your creditors for negotiation. If all goes well here and atleast 75% of your creditors (by debt balance) agree to the IVA, then your IVA can be set up. What living costs are allowed in an IVA? 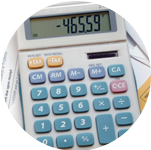 In an IVA you will have an agreed budget for your all your living costs. There are allowances made for this in the agreement. These expenses will be mostly based in what you currently have to pay out each month. You should declare all normal monthly expenses to your creditors so they understand your situation more clearly. There may be some restriction on some expenditure items, such as mobile phone for example.